Want the latest on weather, traffic, finance, sports and more? Simply ask. 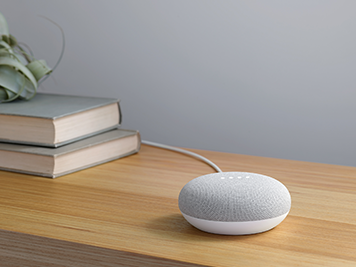 Google Home Mini gives you real-time answers on the spot – powered by Google search. Get hands-free help in any room from your very own Google Assistant. Google Home Mini helps you manage everyday tasks using voice command. Set timers and alarms, add items to your shopping list, your schedule, and more. It even gives personalised responses to everyone at home thanks to built-in voice recognition. 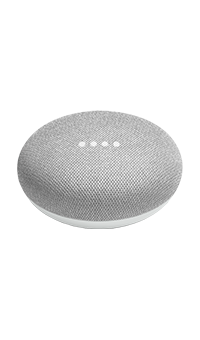 Link your Google Home Mini to compatible smart home devices, such as Chromecast, Nest, or Philips Hue, and adjust room temperature, switch off the lights, or stream your favourite content straight to your TV – all with a simple voice request. Play music, podcasts or radio entirely hands-free with access to compatible services such as Spotify, Google Play Music, the BBC, and more. 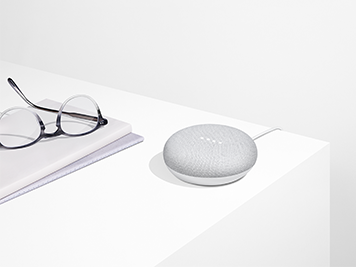 With a powerful speaker and microphones, Google Home Mini hears every request and delivers excellent sound quality.